One of the settings we regularly need to adjust when moving a laptop between different systems is the COM port settings. It would be very helpful if these could be part of the “system settings” in a profile. Would you please consider adding this feature? Please describe how you usually change those settings. Those seem to be driver-specific settings, which are always difficult to implement. Also please describe your use case in detail: Why do you need to frequently change those settings? The better we understand your situation, the more likely we will consider adding those settings in the future. 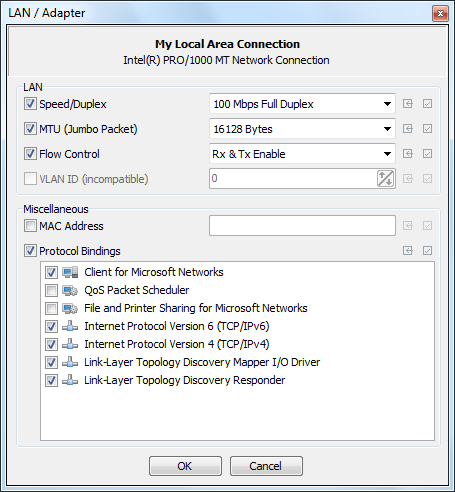 My use case is when I am carrying a laptop to a new industrial control system, and may be connecting to it with Ethernet or Serial - it would therefore be good if this tool could set both in the profile. However, this article suggests that these days the application you are using (including PuTTY) sets the COM port settings for you. Therefore, maybe this is not necessary.